Hurry! You won't want to miss this 4 Bedroom 2 full Bath Cape Cod Charmer! Located on large lot with nice sized back yard with privacy fence, swing set/play area, covered back patio with gas grill and privacy fence. 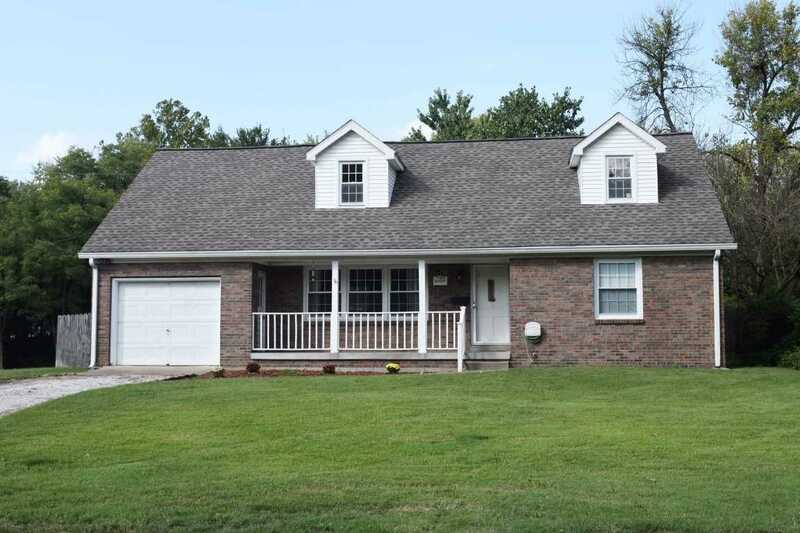 The big front yard has an inviting covered front porch and an attached 1 1/2 car garage. Upon entering you will notice all the natural light in the living room with triple windows. The fully applianced kitchen will be great for baking your Holiday cookies soon! The two Bedrooms and hallway on the main level boast beautiful hardwood floors. A dining area and laundry room round out the main level. The upstairs has room to spread out with 2 large bedroom and bonus room, loads of storage and the second full bath! The crawl space has been professionally waterproofed with transferable warranty by Healthy Spaces. This home is clean and move in ready with new carpet. The seller is offer a one year home warranty for buyers peace of mind. Immediate Possession, don't miss it! Directions:South on Vann to Left on Riverside then left on Jeanette to right on Frisse. SchoolsClick map icons below to view information for schools near 4000 Frisse Avenue Evansville, IN 47714.